File photo of Shashi Tharoor. Congress leader Shashi Tharoor has plunged headlong into a fresh row with remarks about Prime Minister Narendra Modi donning “outlandish” Naga and other headgear on his trips but refusing to sport a Muslim skull cap. The Naga People’s Front (NPF) has also not taken lightly to Shashi Tharoor’s comment on the Naga headgear. In a press statement issued by the Press Bureau of the party from Kohima, the NPF stated that the Congress leader’s remarks has “deeply hurt the sentiments of the Nagas” and requested Tharoor to “take back his words” as the traditional Naga headgear has “certain values and honour attached to it”. They also asked Tharoor to tender apology for his remarks immediately. Shashi Tharoor that tantamount to discrediting the traditional values and practices of the Nagas which is different from the rest of the world”. The release further stated that in his address, the Congress leader said PM Modi was seen in “hilarious Naga headgear, feathers and various kinds of extraordinary outfits, then why does he refuse to wear the green?” The NPF as a regional political party that promotes the value of secularism could sense the message sent across by Tharoor while “targeting” PM Modi which is but obvious “communal in nature”. Nevertheless, the release added, the NPF detests the idea of tagging and dragging along the Naga headgear issue in the Congress-BJP political battle. 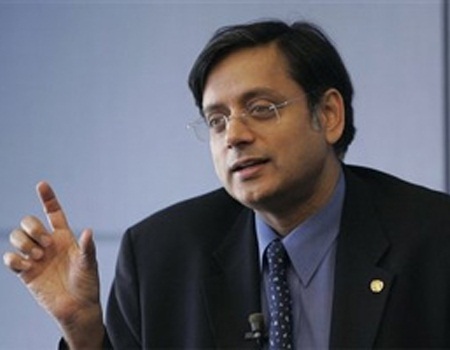 The release also stated that while respecting the views of the Congress veteran leader Tharoor vis-à-vis Modi’s reluctance to accept or wear the Muslim skull cap which has serious ramifications on the religious sentiments of the Muslims, yet, at the same time, it would like to point out that the Nagas have their own unique traditional practices. And, unlike the skull cap that represents the Muslim religion, or the ‘cow’ that represents the Hindu religious beliefs, the ‘Naga headgear’ does not represent any religion for the Nagas. Rather, it is a symbol of respect and status accorded to an honoured guest or revered persons belonging to a certain community. The release concluded by saying that to refer to the Naga headgear as “outlandish and hilarious” is very unfortunate and uncalled for on the part of a learned man like Tharoor, who is well known for his deep political insights and eloquence of speech.